NOTE: it’s not glued so i still have room to edit it. Please let me know if aluminum would work better. That body is is a looker, but ever more, I need those foams!!!!!!!! Glad i dropped in for a look. Mines been in the box since cannibalizing the electronics to another car. 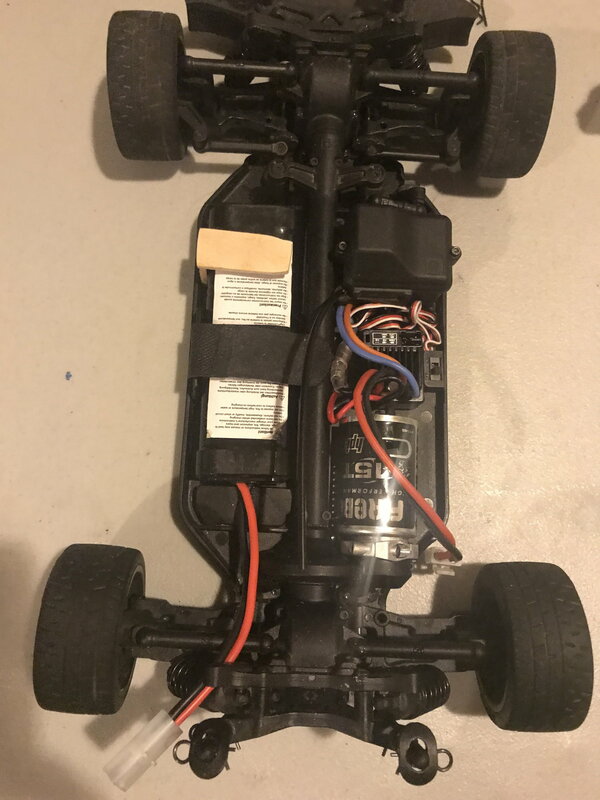 But just dug it out after finding a brand new Flux MMH-4000 motor and EMH-3S speed controller on ebay for less then $85. I'm still surprised at the lack of part availability. Pulled the Hoonicorn body off to more or less save it from wear and tear since you can only find them on ebay for over $100 and have been running TC bodies with foams, would love to run a Flux body with those wide foams, especially since it's almost impossible to find the wheels and tires for it. Hell, if any one knows of good offset foams that fit something like the spec 5 body that would be great too. Which castle fan is that? I believe the max Ride Height is 7 - 8mm with the shocks. I ran another Fastest-Lap Challenge (Tamiya TT-01 vs HPI RS4 Sport 3) (both with some Hop-Ups) - same tires. Either the gearing was wrong on the HPI or the Tamiya driver was way better. (I recognized the RS4 Sport 3 needs a slight set-up change. Last edited by GuyIsDamGood; 04-21-2019 at 07:14 PM.